Is This Why Inhumans Was Really Taken Off Marvel's Slate? Is This Why Inhumans Was Really Taken Off Marvel’s Slate? 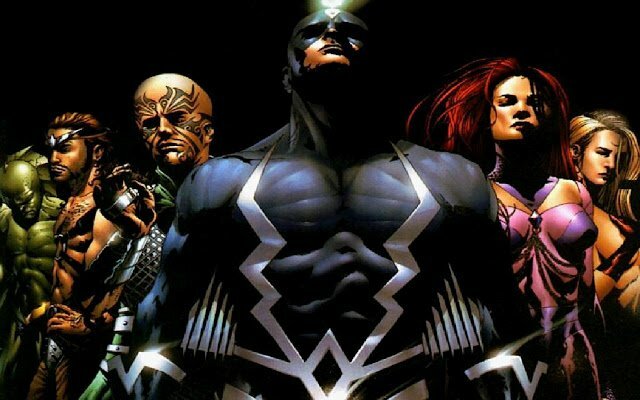 The other day, Kevin Feige officially announced that Marvel’s Inhumans movie would no longer be released on July 12th, 2019, and would not be given a replacement release date for the foreseeable future. At the time, the reason provided was that due to the additions of Spider-Man and Ant-Man and the Wasp to Marvel’s already jam-packed Phase 3 slate, there was no more room for the film. However, Bleeding Cool believes that there was another factor that caused Feige to make this decision. According to them, Inhumans was actually an Isaac “Ike” Perlmutter pet project that Feige never really had any interest in and only agreed to get behind if they could also move forward with Captain Marvel. The tumultuous relationship between these two Marvel execs is well documented, and last year they split, with Perlmutter relegated to TV involvement only. So, if Bleeding Cool is correct, then Feige clearly felt he could get rid of the project without much hassle. Inhumans could still get a new slot at some point, which would render all of this moot, but it looks like the only place we’ll be getting to see the Terrigen mist-altered beings for the time being is on Agents of S.H.I.E.L.D. Tell us, are you disappointed that Inhumans won’t be with us in 2019, or did you never really care about the film to begin with? Let us know below!